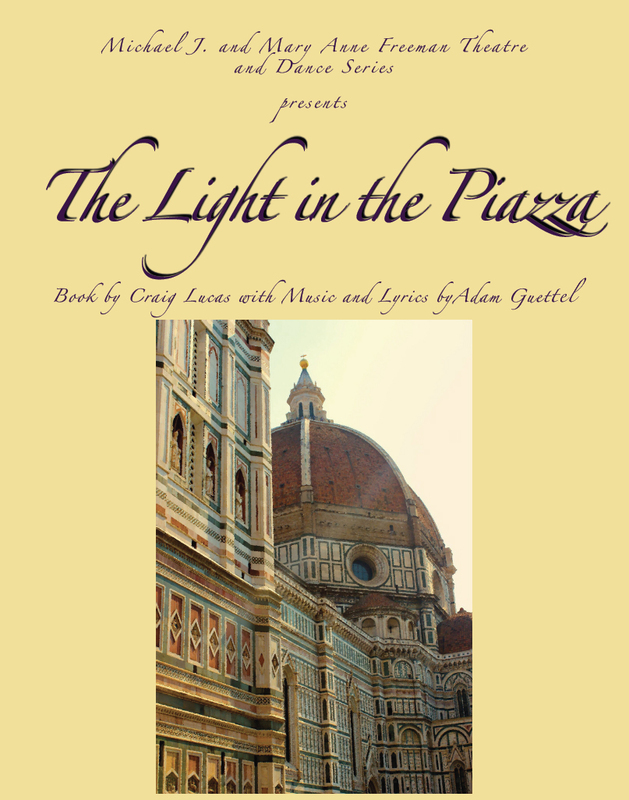 The Michael J. and Mary Anne Freeman Theatre and Dance Series at Samford University will present "The Light In the Piazza" Feb.27-March 1 at 7:30 p.m. and March 2 at 2:30 p.m. in Harrison Theatre, Swearingen Hall. Set in 1953, "The Light in the Piazza" tells the story of a woman traveling the Tuscan countryside with her daughter. When a handsome young Florentine captures the daughter's heart, the mother must decide if she will risk revealing the truth that could threaten her daughter's happiness. Theatre and Dance department chair Donald Sandley directs the soaring musical with a book by Pulitzer Prize-nominated playwright Craig Lucas (Prelude to a Kiss) and a Tony Award-winning score by Adam Guettel. Tickets are $12 (adult) and $6 (student). Purchase ticketsonline at tickets.samford.edu or call (205) 726-2853.